"Any children’s film that opens with a Le Tigre song and contains a sad matador singing Radiohead is basically alright by me. Death is ‘in’ at the moment in children’s animation, with The Book of Life belonging to a quirky little group along with Frankenweenie and Paranorman (or going back a bit further, The Corpse Bride and The Nightmare Before Christmas). 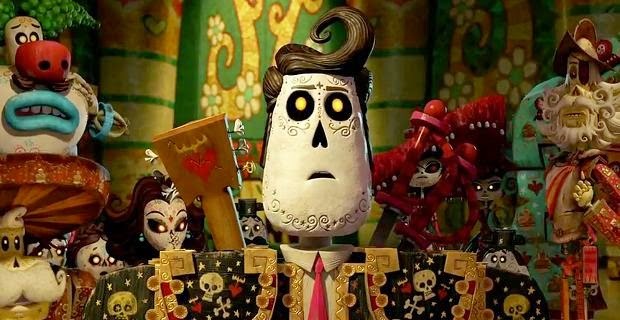 But even among this morbid crowd, The Book of Life racks up an impressive body count. Given that the film bears Guillermo del Toro’s unmistakable fingerprints, this perhaps isn’t surprising, as in this case, animation allows his intricate imagination to run riot."